Purchasing a Scotsman Ice Machine shows that you are an intelligent business owner. Scotsman ice machines are the smarter choice. You will discover that Scotsman Industries incorporates the most current ice making technology into their equipment in order to produce better ice. Scotsman ice machine equipment is efficient, reliable, and durable, making it a smart capital investment for your business. Since Scotsman's focus is on putting that technology and innovation into their ice machines for the simple purpose of producing the best ice for your business, they do not include extraneous features that complicate the ice-making process or add to the equipment's cost. Their machines make ice and they do it well, and Scotsman Ice Machines continue to be in demand for their quality. Scotsman is recognized as a leader in energy efficiency. Any Scotsman ice machine would be a smart investment and therefore, a smarter choice for your business. 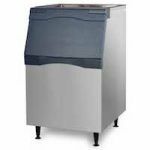 Scotsman CU0920MA-1A 20" Air Cooled Undercounter Medium Cube Ice Machine - 100 lb. 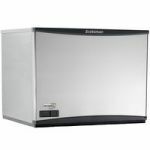 Scotsman CU1526SA-1 Prodigy Series 26" Air Cooled Undercounter Small Cube Ice Machine - 150 lb. Scotsman CU3030MA-1 Prodigy Series 30" Air Cooled Undercounter Medium Cube Ice Machine - 250 lb. 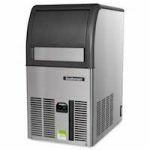 Scotsman CU50PA-1A 14 7/8" Air Cooled Undercounter Gourmet / Full Size Cube Ice Machine with Built-In Pump - 65 lb. Scotsman CU0415MA-1A 15" Air Cooled Undercounter Medium Cube Ice Machine - 58 lb.